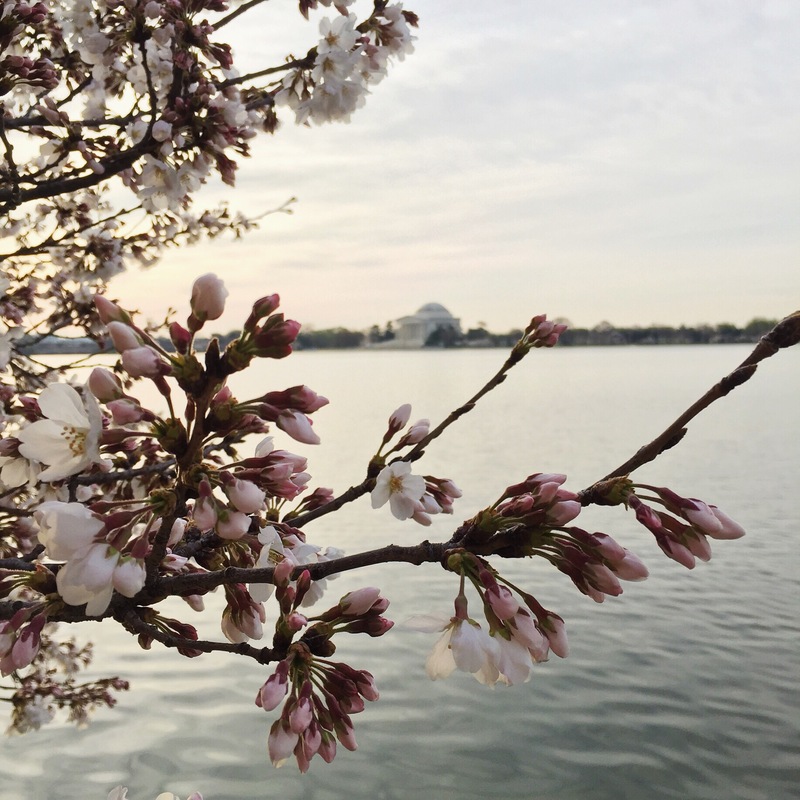 The Tidal Basin is the most popular cherry blossom viewing destination, and for good reason. On clear, calm days, the views of the cherry-blossom-framed memorials reflected in the water are truly spectacular. But the crowds in the area can become unbearable—it’s not what one would call tranquil, unless you get up at the crack of dawn and arrive before 7:30 a.m. Which is what I did this year. Twice. Very highly recommend. 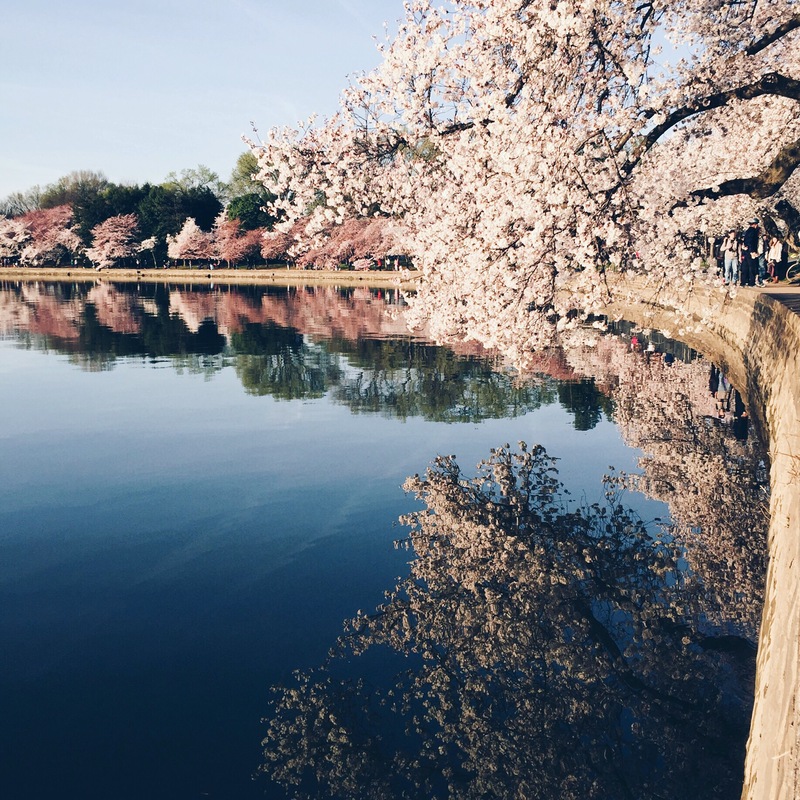 West Potomac Park encompasses the Tidal Basin itself, but also includes groves of cherry trees along the Potomac River. 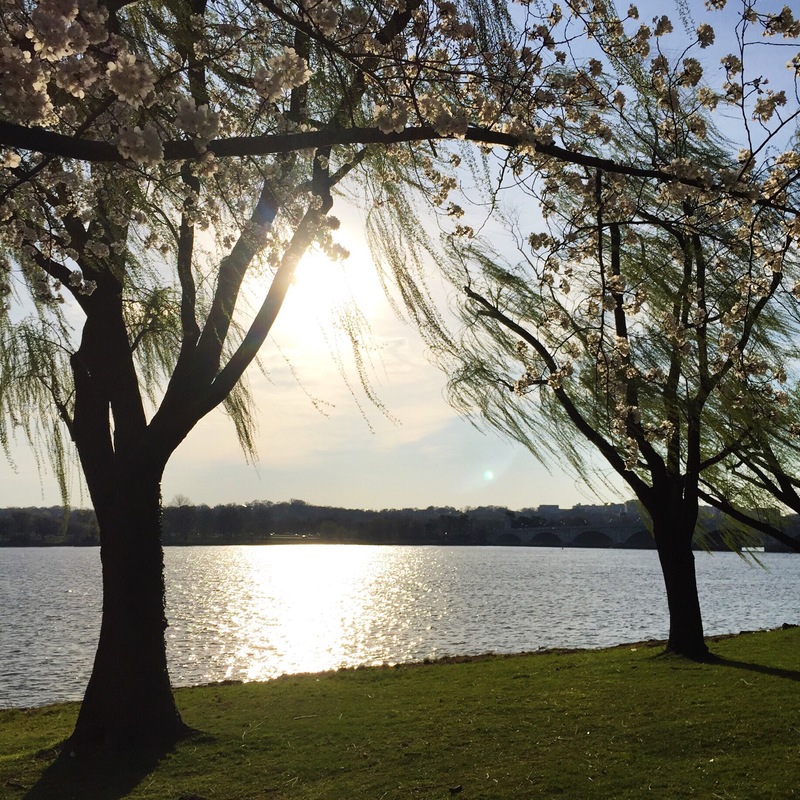 The stretches of West Potomac Park along the river are less jam-packed, and it only gets quieter as you head into East Potomac Park toward Hains Point—I was even able to go for an afternoon run in the area on a peak bloom day this week. Some of the cherry trees mingle with weeping willows along the river. It’s pretty magnificent. 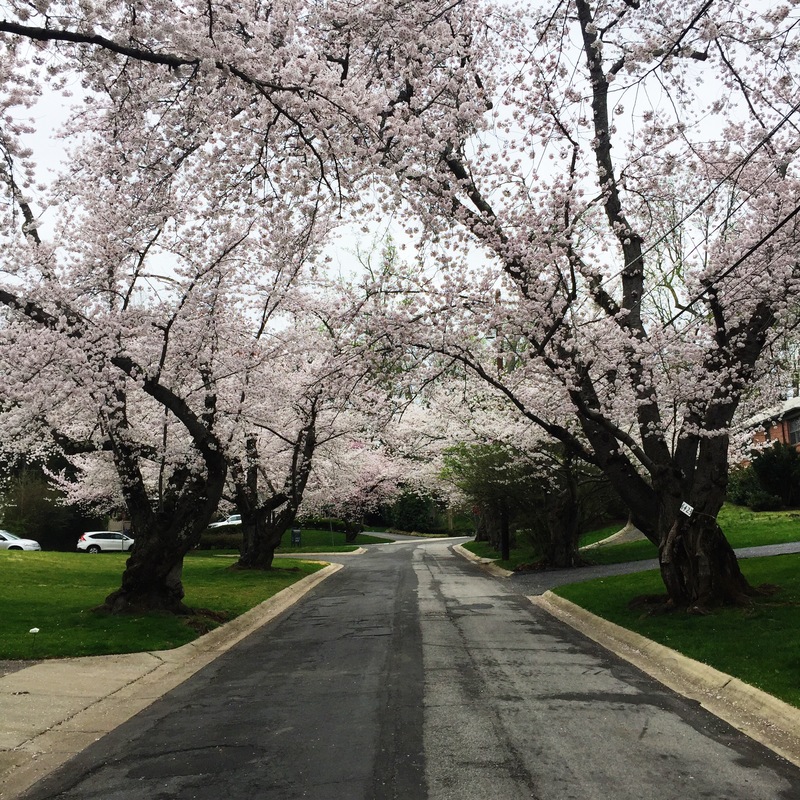 If you venture out of the District, the Kenwood cherry trees in Bethesda are an incredible sight to behold. 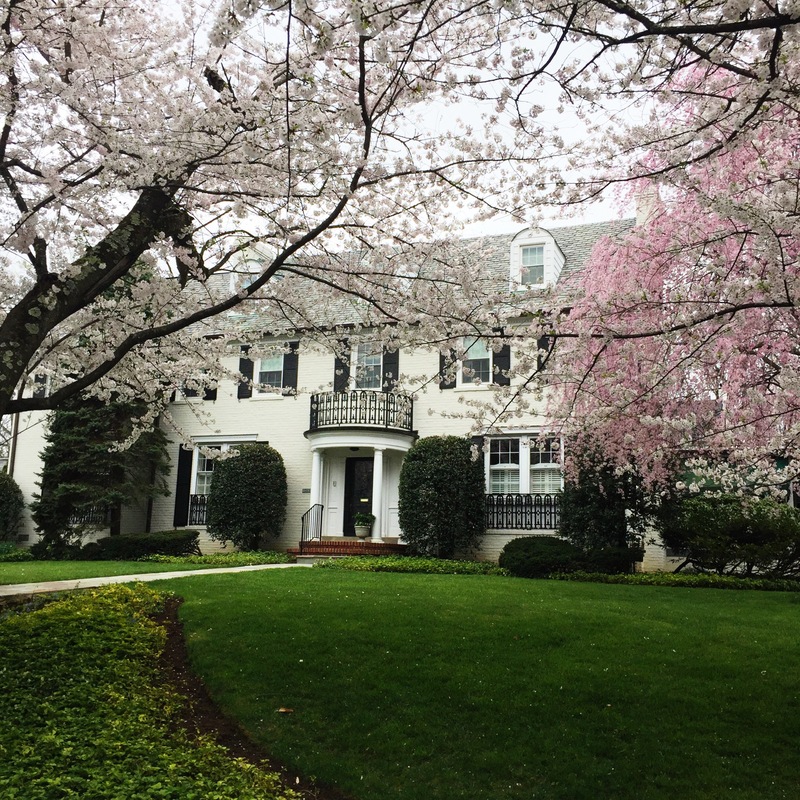 More than 1,200 cherry trees line the streets of a neighborhood full of million-dollar houses, so it’s also a fun place to play architecture critic and/or scout future homes for when you win Powerball or whatever. Keep an eye out for NO PARKING signs—residents actually hire off-duty cops to manage crowds during peak bloom, so presumably they mean business with their street parking rules, too. 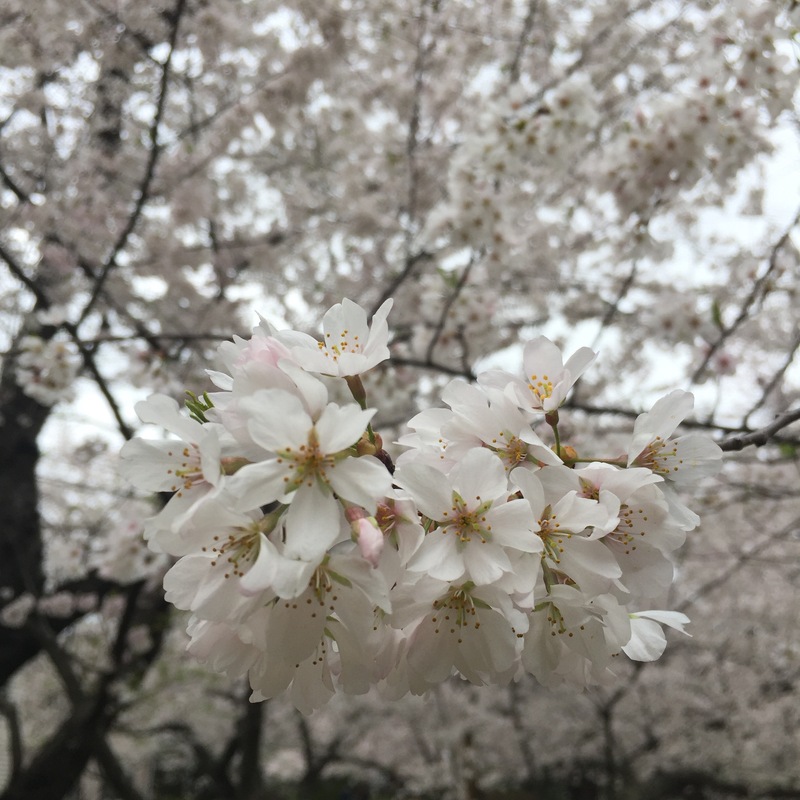 And if none of these strike your fancy: Some beautiful genius created an app mapping the 6,500 cherry trees all over the District. If you go: Watch your step around the Tidal Basin, which has no railings to keep you and your pricy DSLR from taking a tumble into the water (or from knocking somebody else in). Do not stand on the left side on Metro escalators if you take public transportation to get to any cherry blossom venue (which you should, because trying to park your car near the Mall is maybe the most masochistic thing I can think of). Missed peak bloom? The blossoms opened up way early this year thanks to some crazy-warm weather, but if you’ll be in DC in April, don’t be too bummed. You can also check out the kite festival, fireworks, parade, or Japanese street festival.